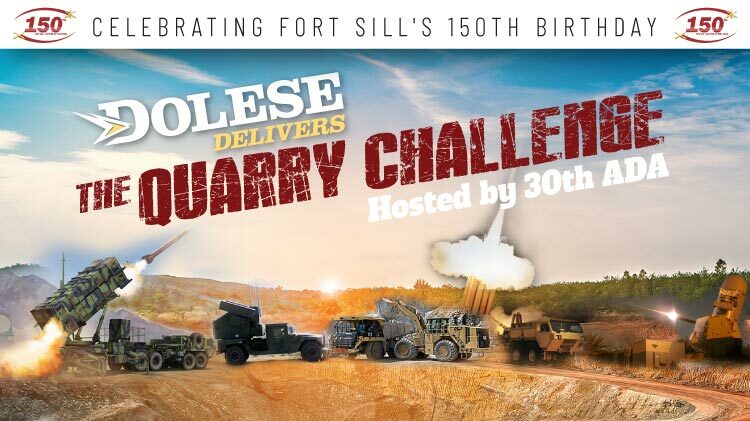 Date: May 11 2019, 8 a.m.
Are you up for the Quarry Challenge? Come join the Soldiers, citizens, and families of the Lawton/Ft. Sill community in an exciting and one-of-a-kind outdoor adventure at the Dolese "Richard's Spur" quarry. There's something for everyone with a choice of 8K, 5K, 10 Miler or Fun Run/Walk through the quarry. Test your endurance traversing 300 feet to the bottom of the quarry and back up, or take a leisurely stroll and enjoy the unique and incredible scenery of a fully operational quarry. Don't miss the overlook tour and quarry equipment displays for spectators or after you finish! All proceeds to benefit Soldier and family programs at Ft. Sill.